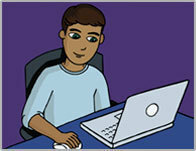 Now that school is in session, students are busy doing their homework, projects and research online. It's critical that they know how to find and use credible websites and sources. Along with ways to become "web smart," we have also included student and teacher productivity tools to help set the stage for a successful year. Your students are plugged in, but how much do they really understand about the information they access on the internet? Is a website credible, can it be trusted? Web Smarts is designed to help students become more web literate and learn strategies for identifying sources of web content, as well as methods for assessing the accuracy of the content. In Thinkport’s interactive module, students learn essential skills needed to research a topic and use what they have learned in their research task to create a multimedia presentation. Personalize learning experiences while targeting a wide range of learning styles with a suite of productivity tools from PBS LearningMedia. Find a Lesson Builder, Quiz Maker and Storyboard tools. 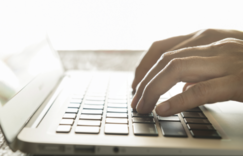 Help students build writing skills and analyze text online! Thinkport's text annotator tool can help you examine any piece of text created by students or authors from around the world. Handy embedded virtual markers allow users to highlight important passages, questions, thoughts, or ideas, and add comments. MPT’s newest film looks at the life and times of Francis Scott Key, from the song that built America to how Key goes head-to-head with abolitionists' ideas and loses. Extend learning around this period of time in history using interactive resources from Thinkport's War of 1812 web portal. Visit Thinkport for additional PreK-12 resources and activities.